I was struggling to come up with a hook for the new LS3 by Swisstone, another famous brand from the 1970s brought back to life by Graham Audio. Then, I bought a suit for a friend’s wedding and it hit me. I was walking through the men’s section of Marks & Spencer and found the company’s ‘Savile Row Inspired’ suits. That’s it! 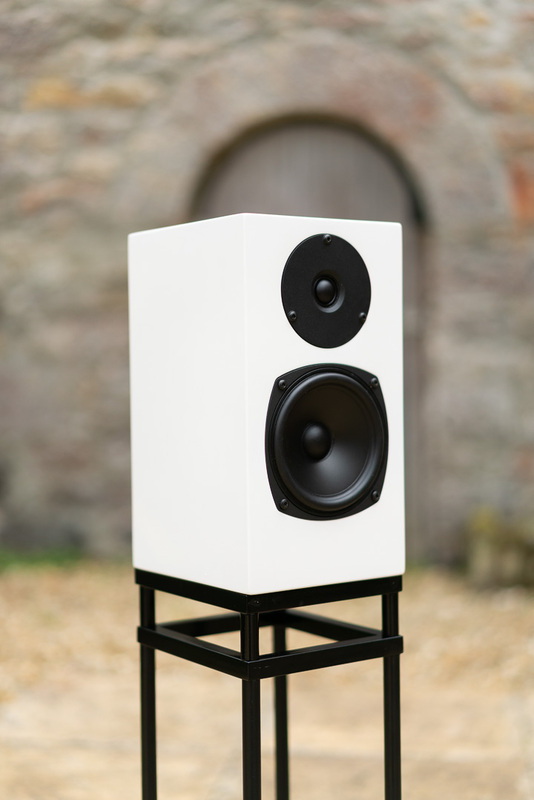 The LS3 is a ‘BBC Inspired’ loudspeaker. Put simply, the LS3 is a small, sealed-box two-way loudspeaker that uses many aspects of classic BBC loudspeaker designs, but strips back the more costly parts of such a design, doesn’t stump up for any kind of BBC licensing, and delivers a loudspeaker that gives the listener a lot of what the LS3/5 or LS3/5a might offer, for less than a grand! It’s not a LS3/5a ‘lite’ in every respect (for one thing, it’s finished in piano gloss and is actually the footprint of the LS3/5a turned through 90°, so it’s deeper than it is wide), but it gets listeners on nearly the same page of The Radio Times. As common to Graham Audio (and its subsidiaries), the LS3 is a Derek Hughes design, but instead of the custom-made Volt units found on its more upscale models, this one uses a SEAS 19mm soft-dome tweeter coupled with a 130mm polypropylene mod-bass made by and doped by Graham Audio. The actual manufacturer of the driver remains undisclosed. Like other Graham designs, it is also single-wired and uses the same gold-plated multi-way terminals found in other models from the brand. The big change is the cabinet. It’s piano gloss and the mid-bass drivers sit on – rather than behind – the front baffle. Instead of a grille surround that looks nice but does introduce a few minor baffle-step phase issues, the magnetically attached grille stands proud of the speaker and is best removed in serious use. Because the cabinet has the same footprint as the LS3/5a (albeit a footprint that suffered a nasty ankle injury), stands designed for the classic BBC design can work here if the top-plate is turned through 90°. I used the same open frame designs as used with the LS3/5, and this is a perfect partner for the LS3, too. This was a loudspeaker that benefited from a small amount of running in, something that ‘would never do’ with the LS3/5a. Nevertheless, a few hours of shake-down does seem to bring the speaker together. I used the humble little LS3 on a range of amps, including a Primare I35, a Devialet Expert Pro 140, and the Cambridge Audio Edge tested in this issue.